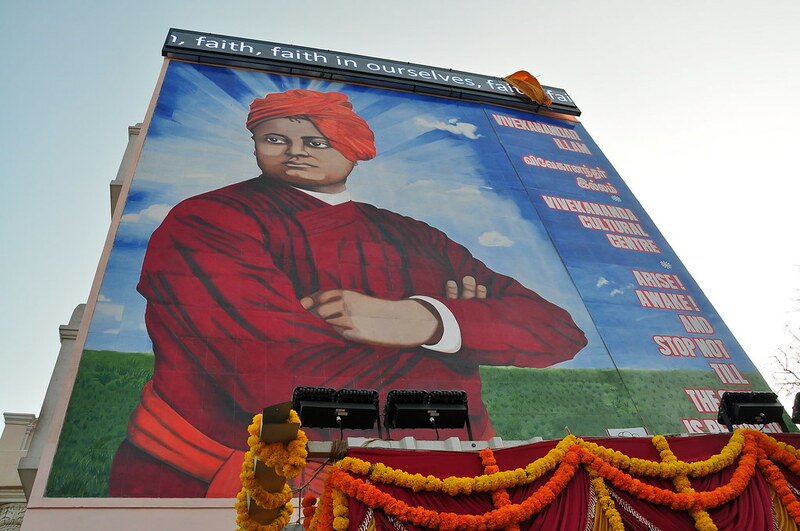 In 1897, Swami Vivekananda after his triumphant return from West stayed 9 days at the Vivekanandar Illam from Feb 6 – 14. 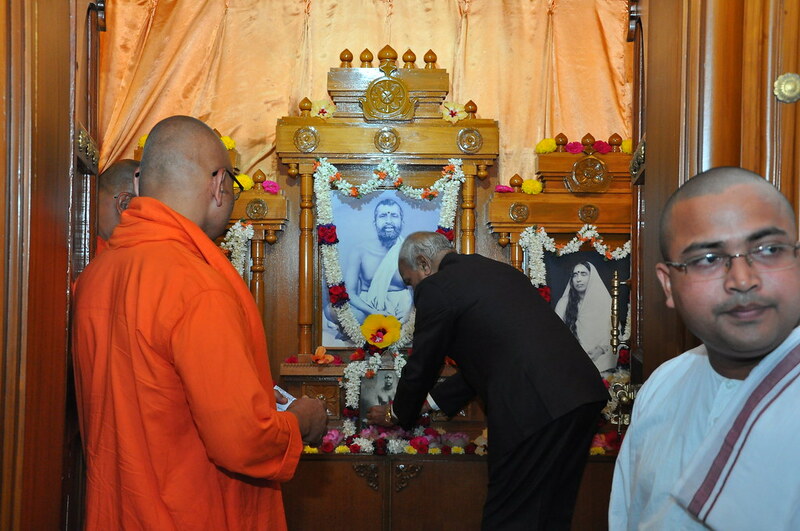 These 9 days are celebrated as ‘Vivekananda Navaratri’ by Sri Ramakrishna Math and devotees. 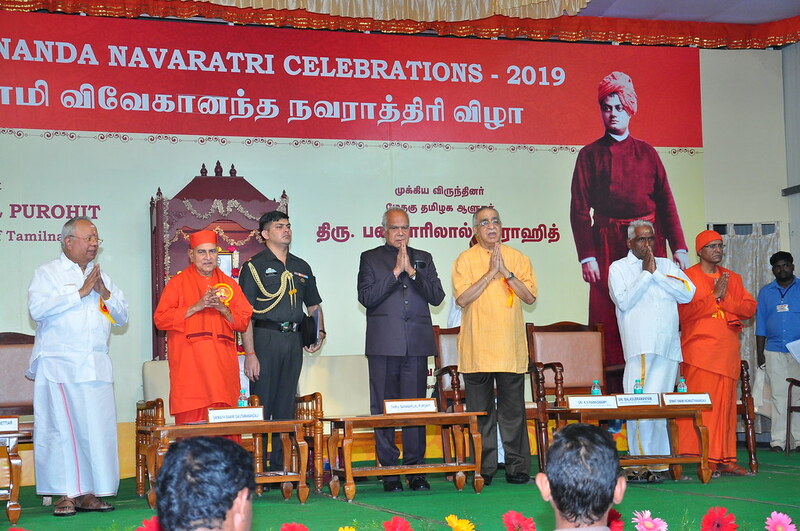 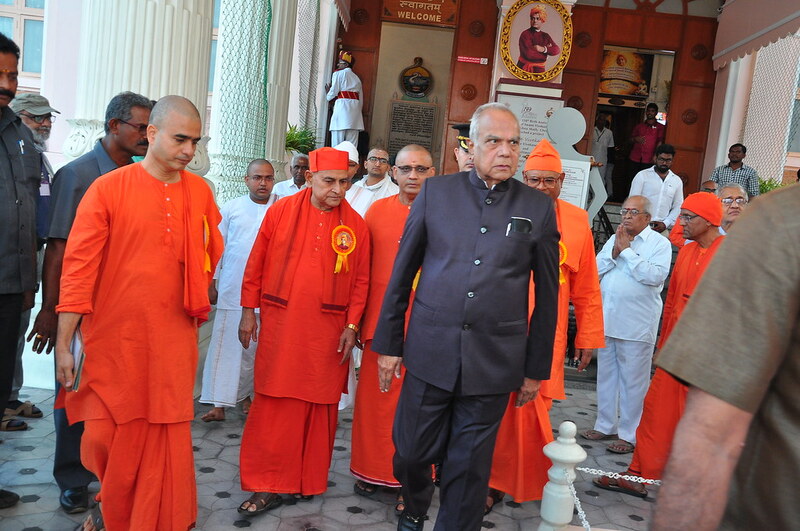 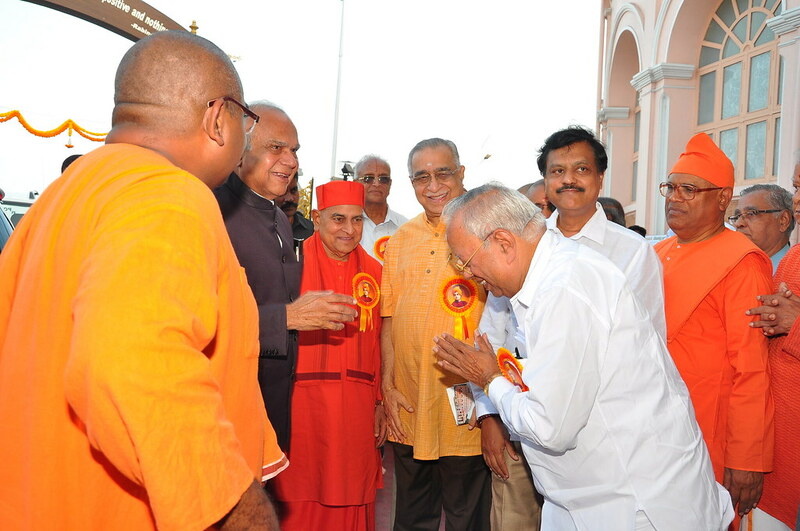 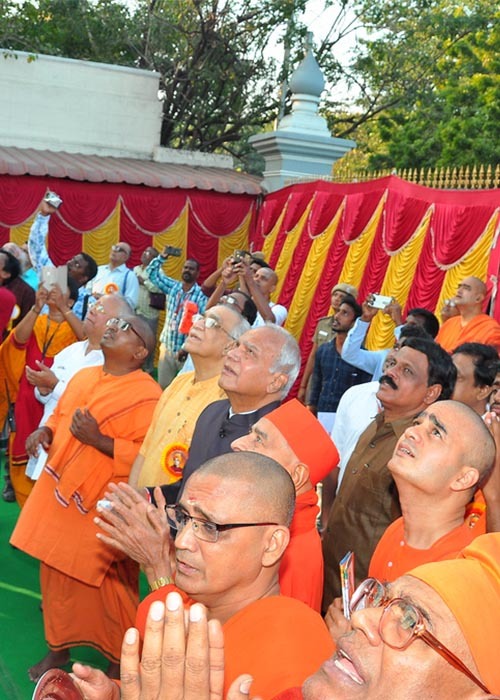 Vivekananda Navaratri 2019 was inaugurated by His Excellency the Governor of Tamil Nadu, Thiru. 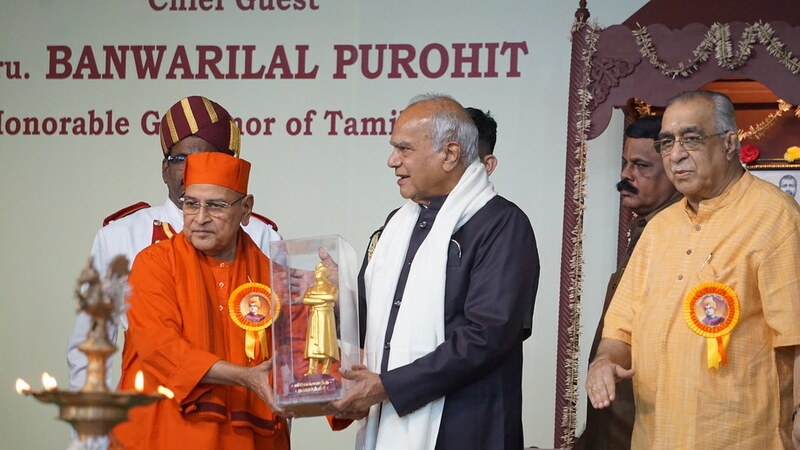 Banwarilal Purohit. 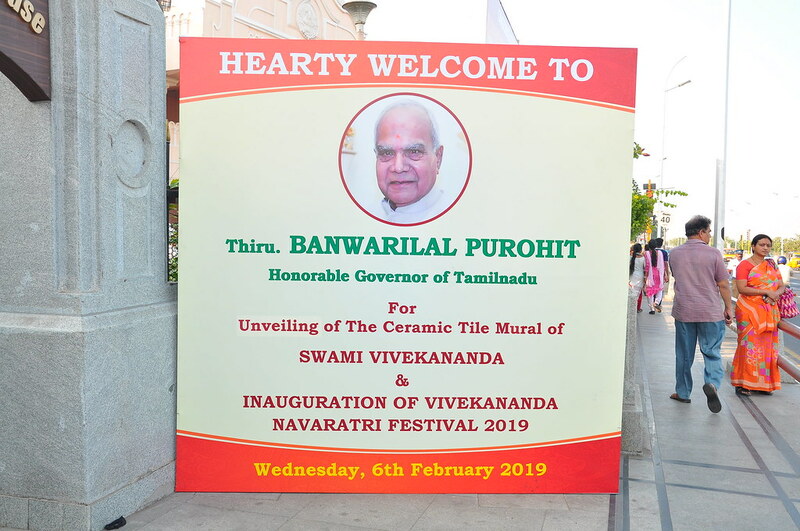 As part of the inauguration function, The Hon’ble Governor of Tamil Nadu unveiled a 29ft ceramic tile mural statue of Swami Vivekananda. 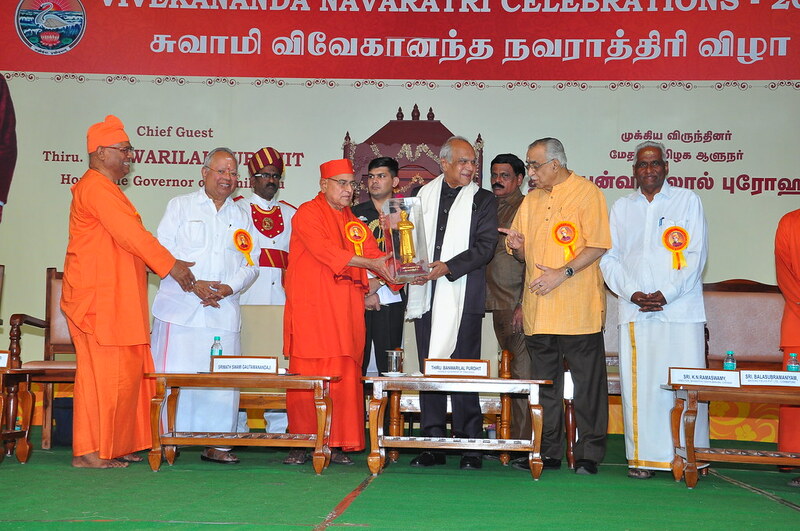 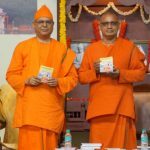 Swami Vimurtananda ji Maharaj, manager, Sri Ramakrishna Math Chennai in his welcome address explained the importance of the Vivekananda Navaratri celebration. 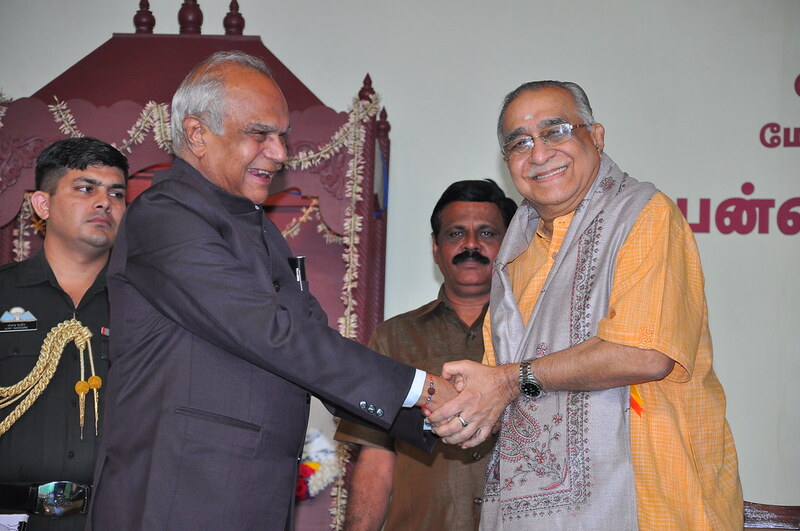 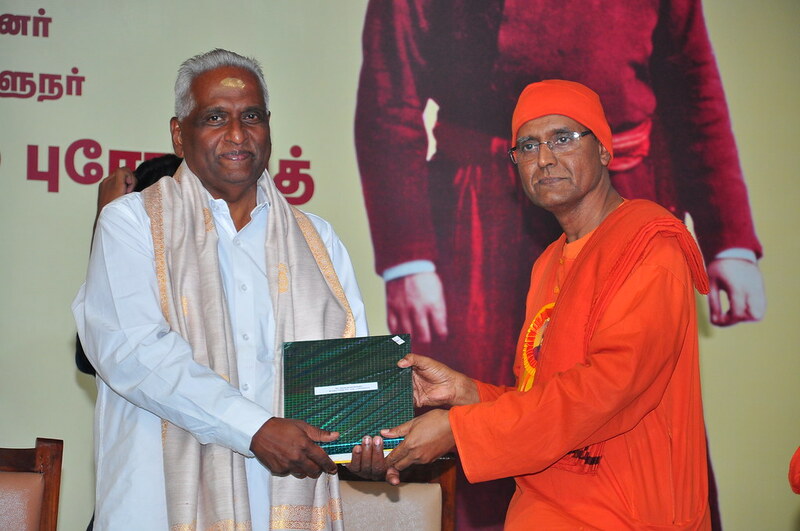 Padma Sri Nalli Kuppuswamy Chettiar, Sri K. N. Ramaswamy, Director, Bharatiya Vidya Bhavan, Chennai, Sri. 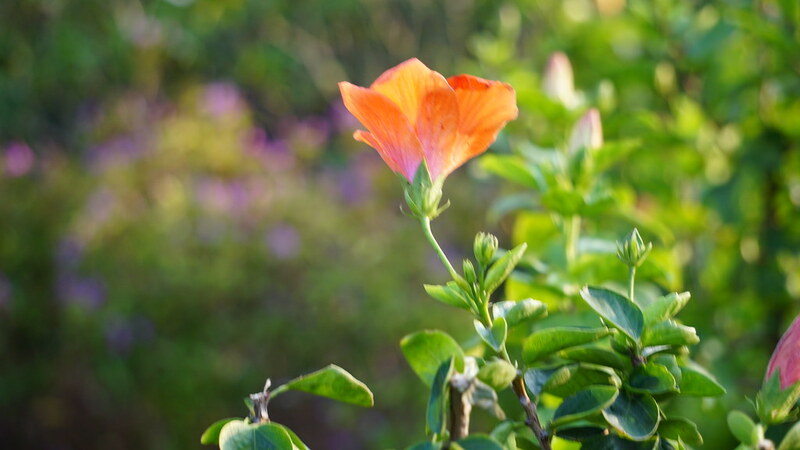 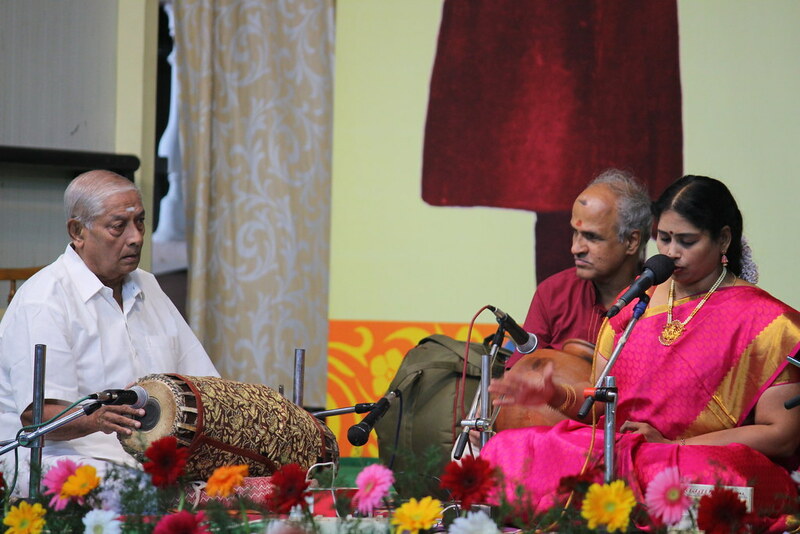 Balasubramaniyam, Brooke Fields Pvt. 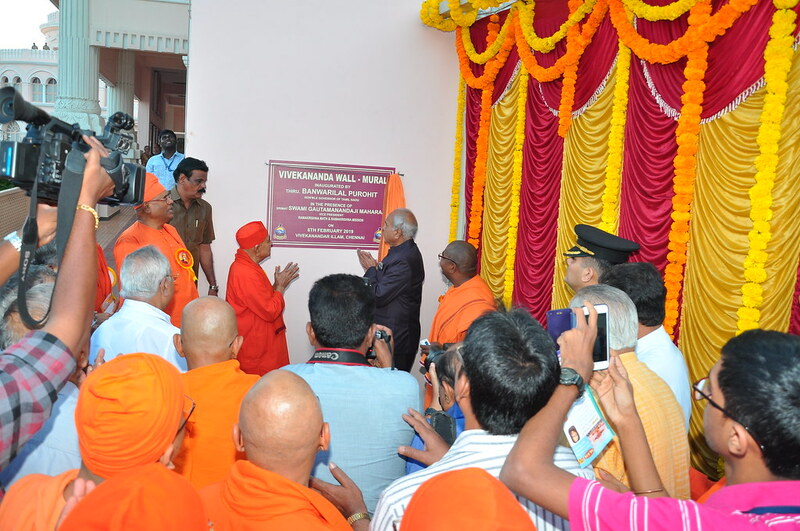 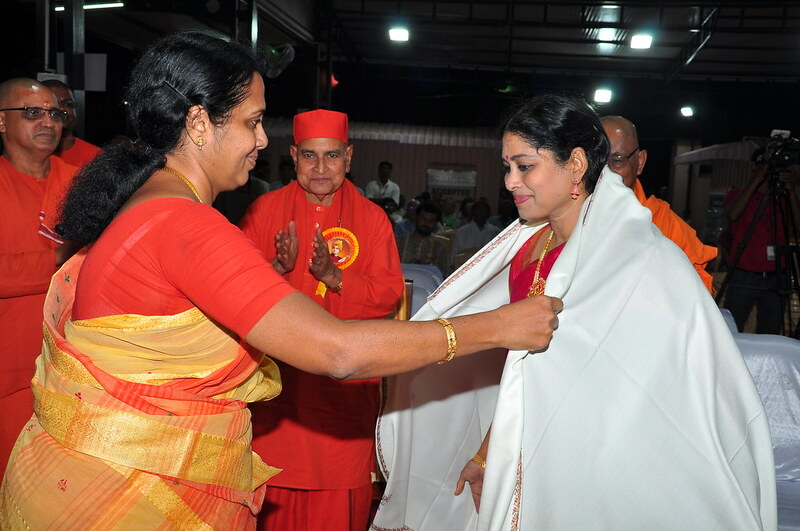 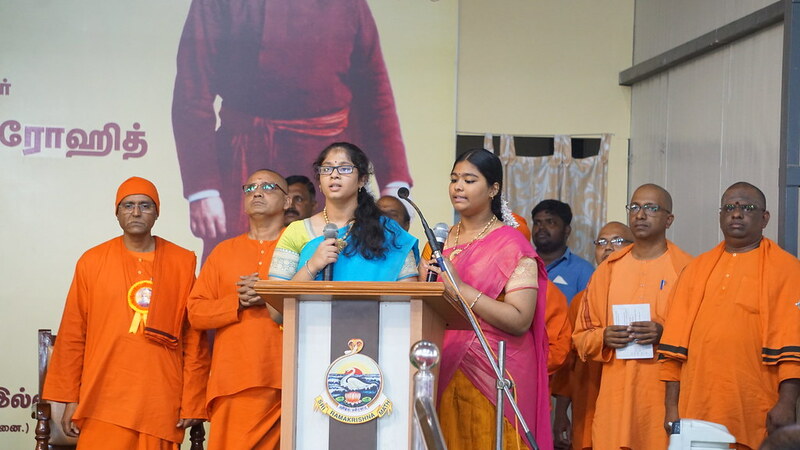 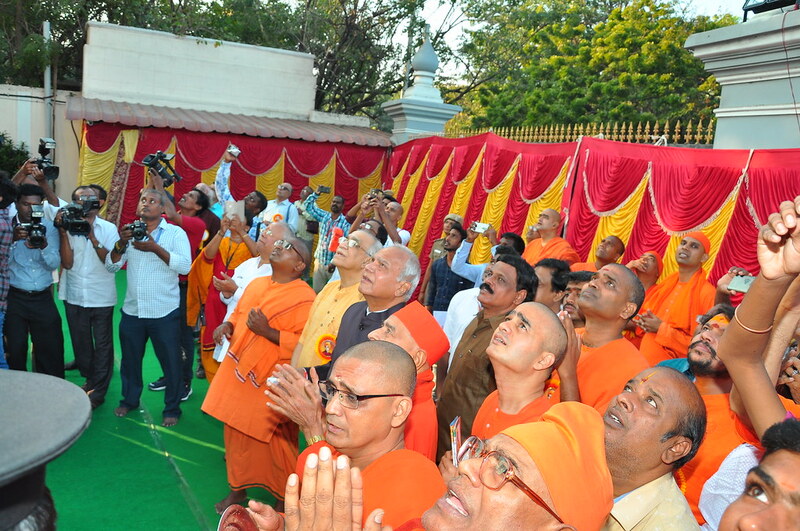 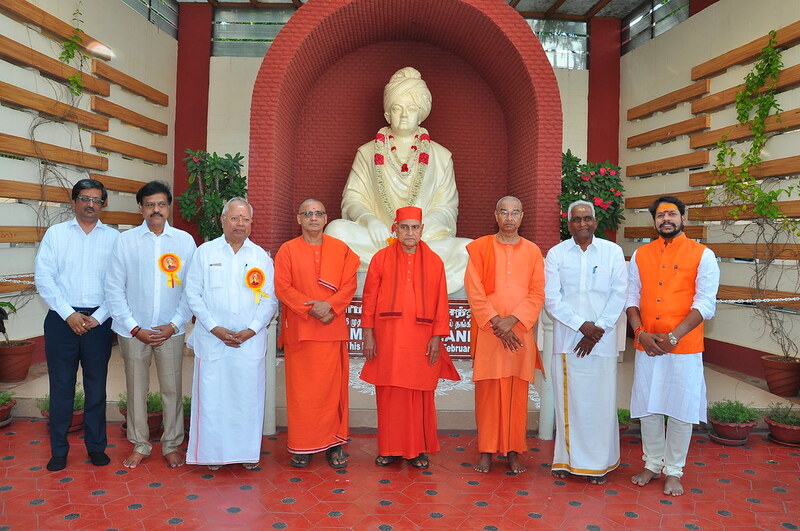 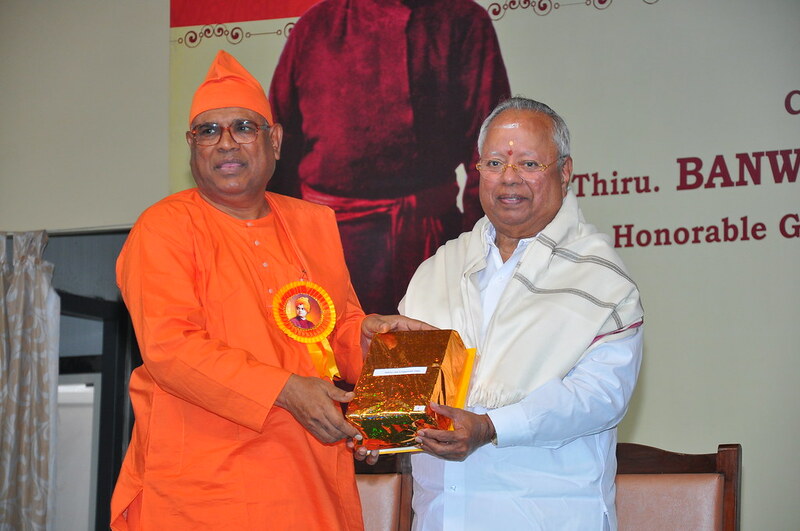 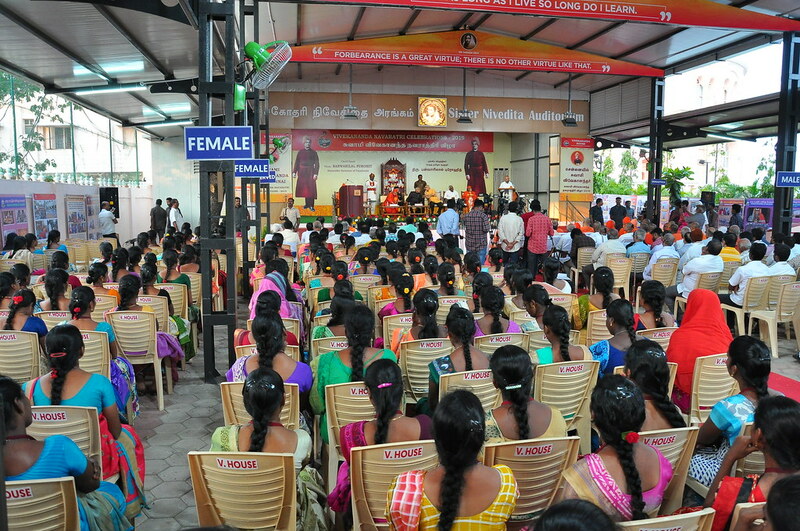 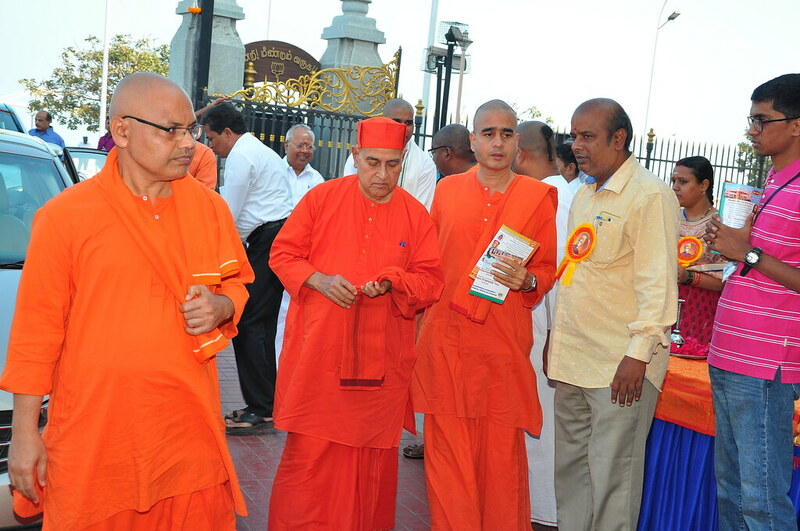 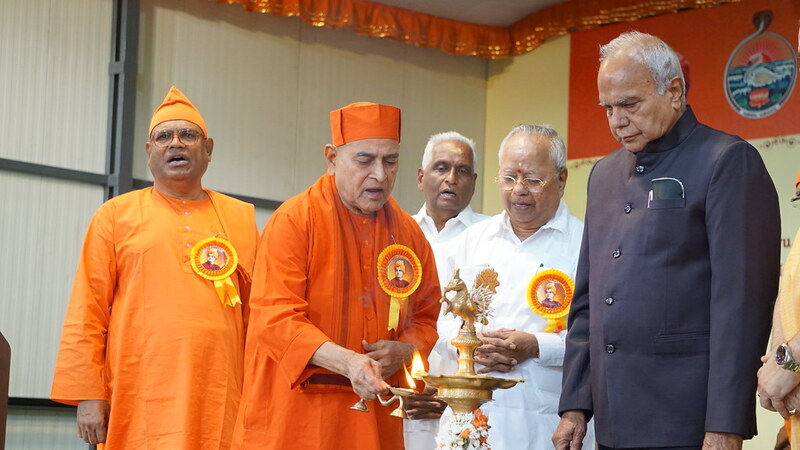 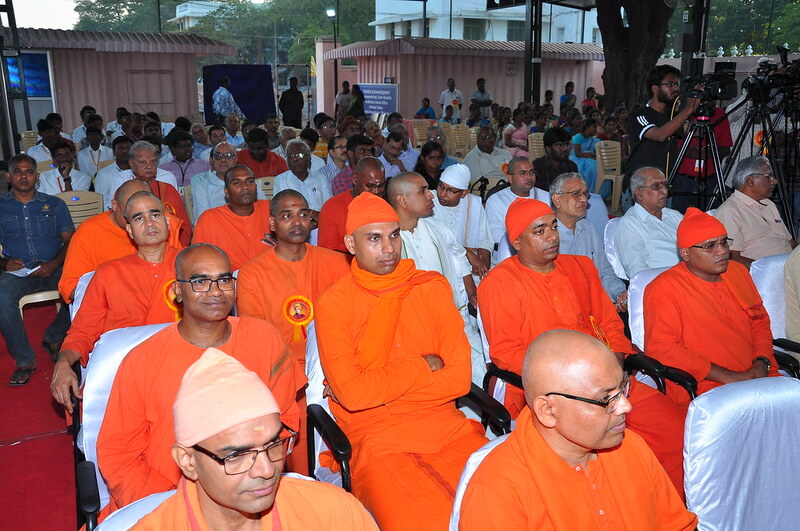 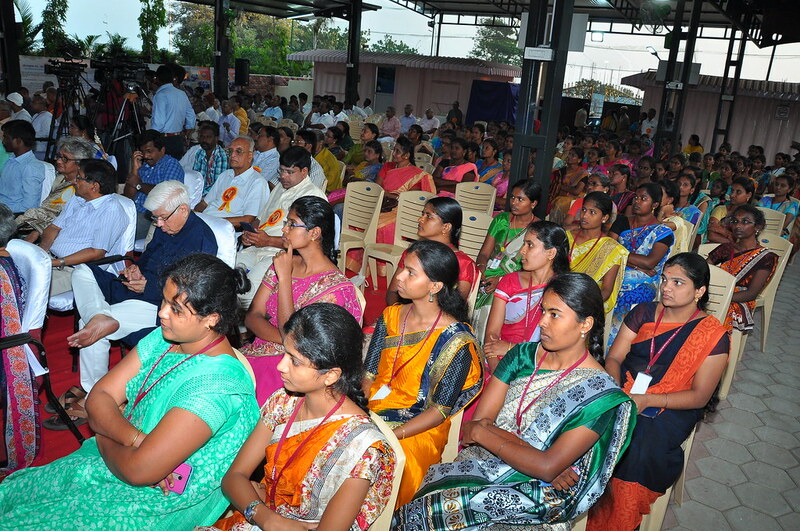 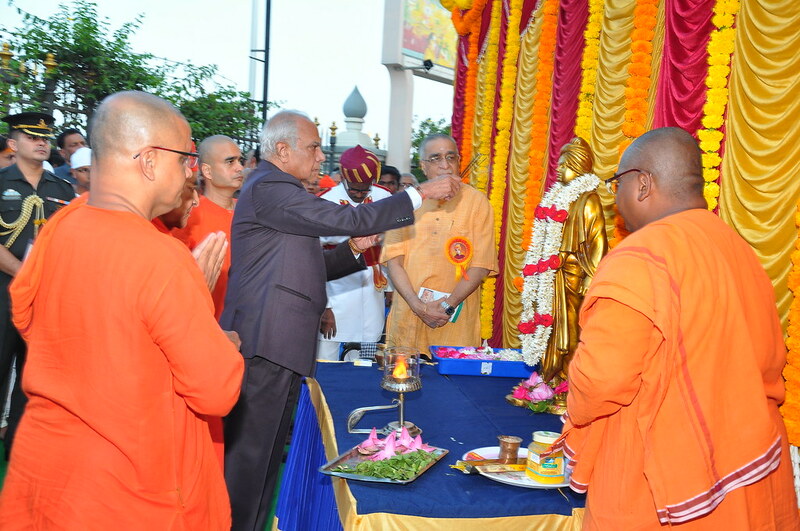 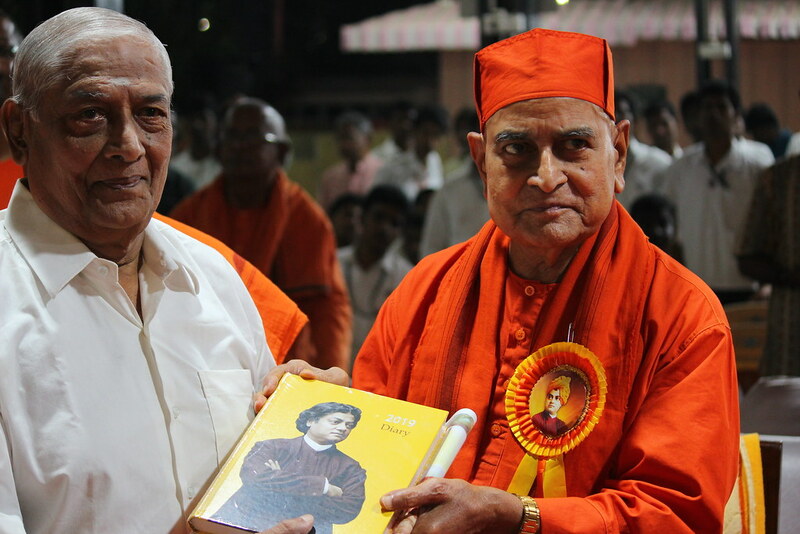 Ltd., Coimbatore, Swami Sukhadevananda ji Maharaj, Secretary, Vivekananda College, and Swami Padmasthananda ji Maharaj, Secretary, Ramakrishna Mission Ashrama T. Nagar participated as the guest of honor. 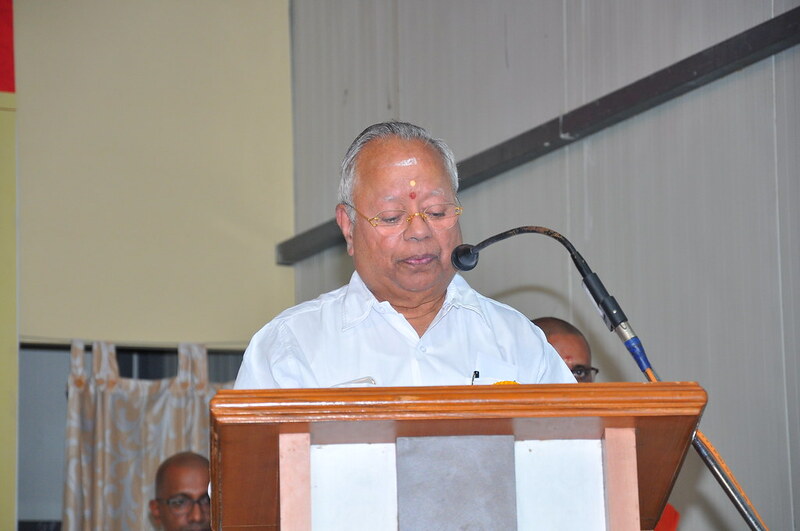 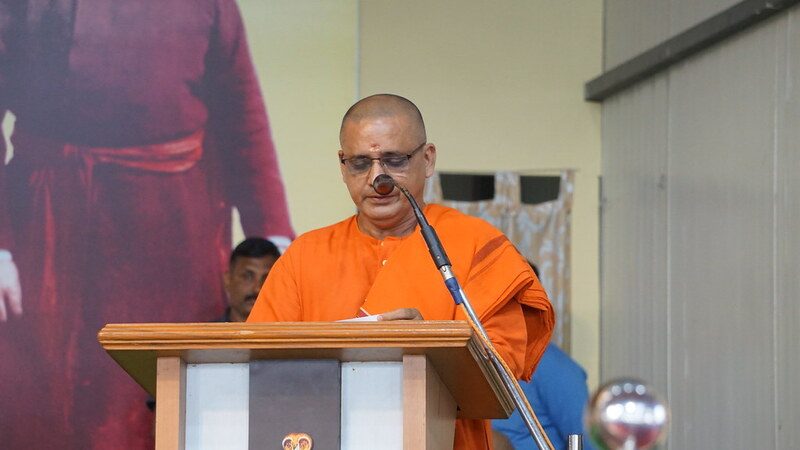 Srimat Swami Gautamananda ji Maharaj, Vice president, Ramakrishna Math and Mission delivered the benedictory address. 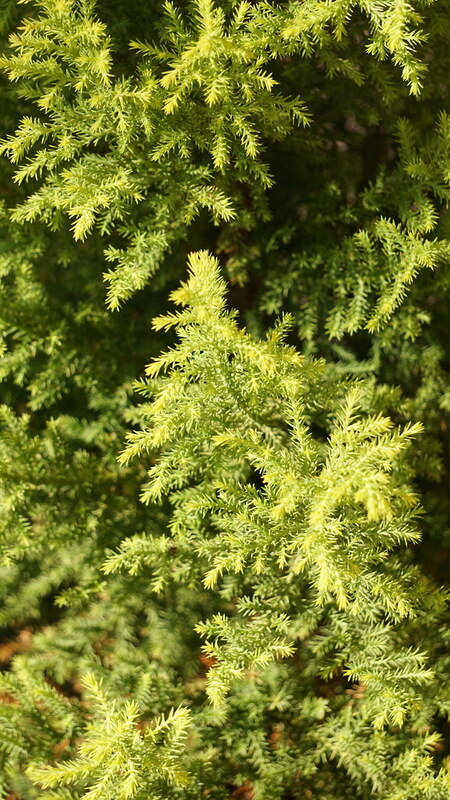 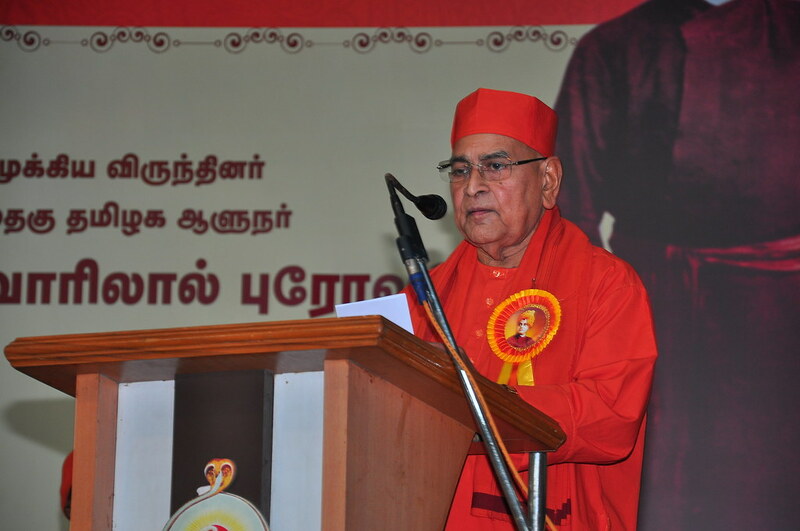 Sri Thiru. 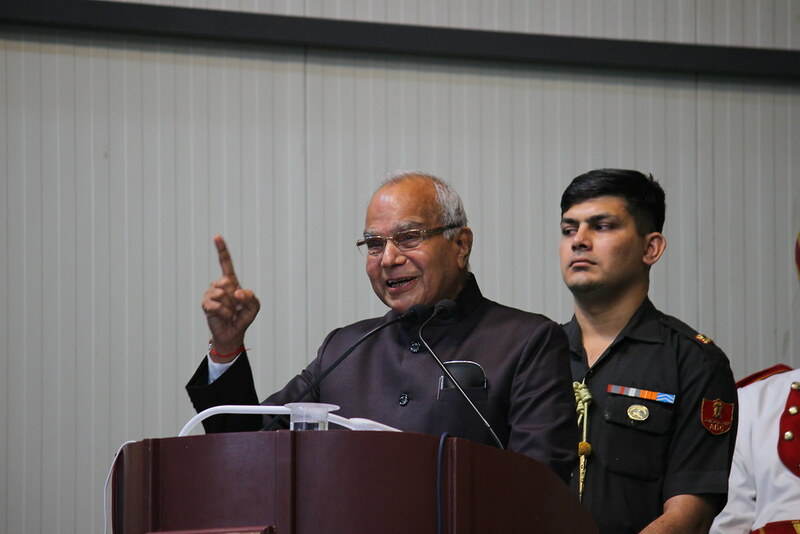 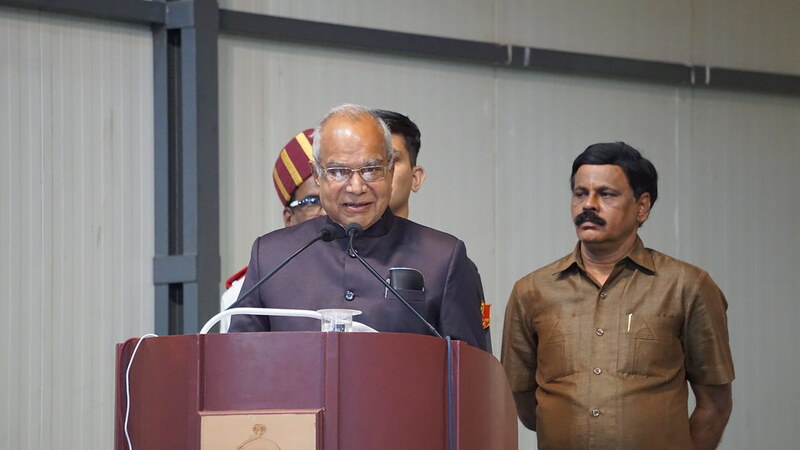 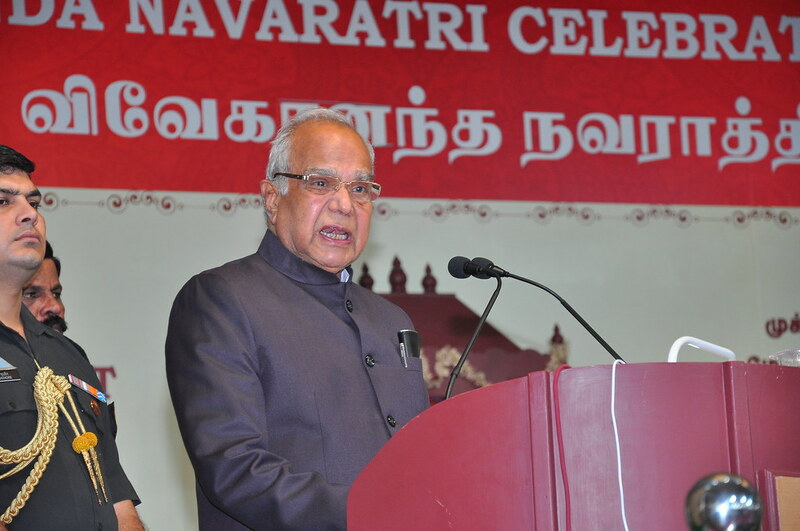 Banwarilal Purohit, Hon’ble Governor of Tamil Nadu, in his chief guest recalled the Swami Vivekananda’s Chicago Address at the world parliament of religion held at 1893, and its impact to the whole world. 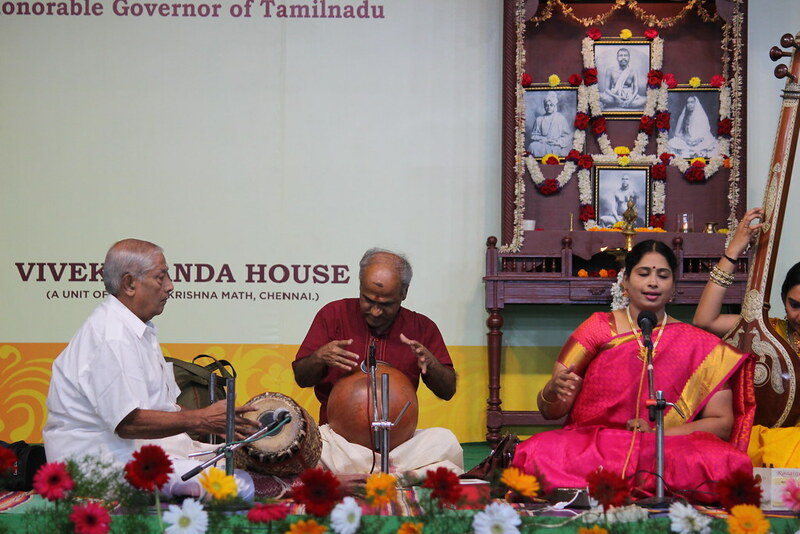 At 6.30 pm, Kalaimamani Smt. 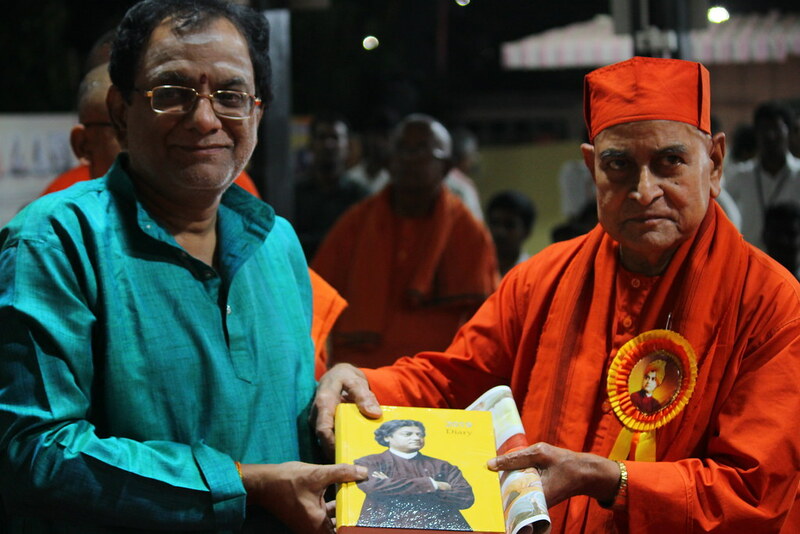 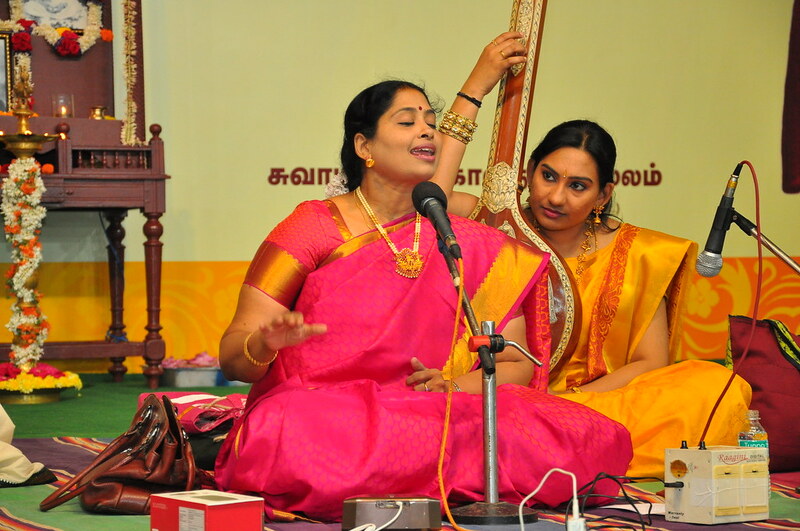 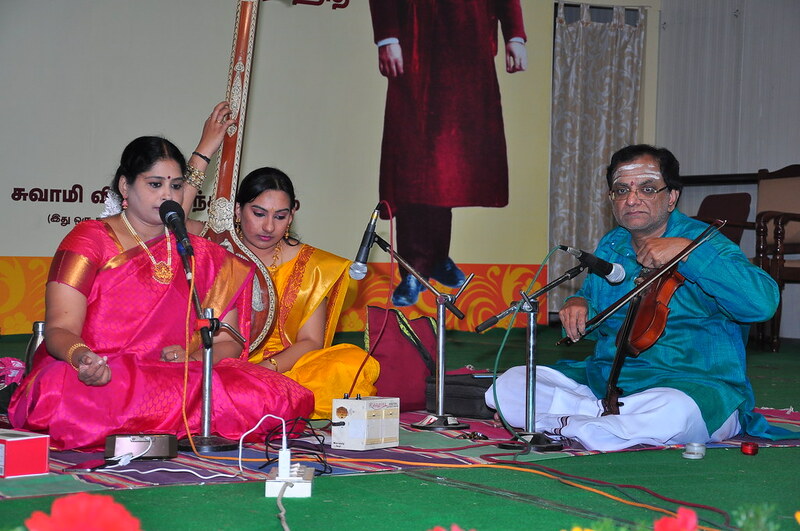 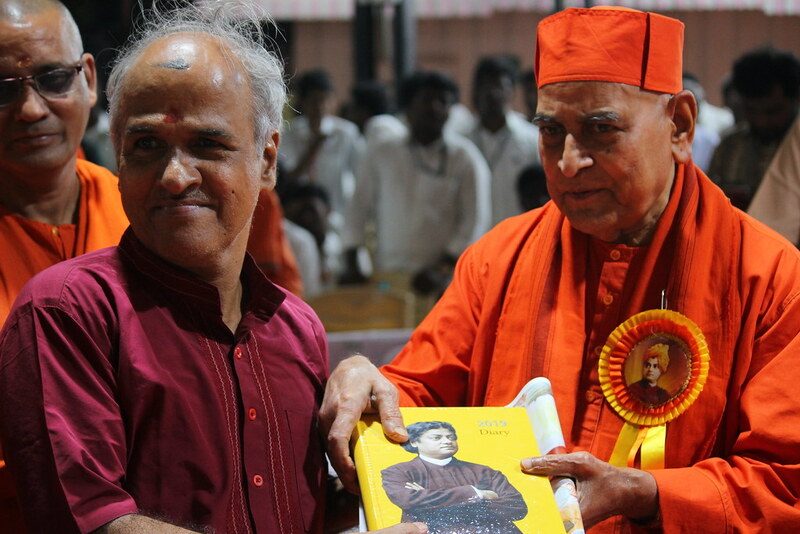 Nithyasri Mahadevan gave a Carnatic musical performance.